Grandmother to three grandsons: Mark W., Jeffrey A., Daniel T. Hinze, but she only got to meet two of them. 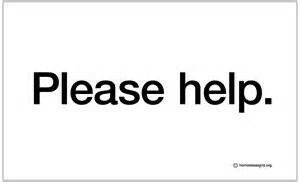 We do not have a full obituary, only a short obit from the Chicago Tribune for Lora, so we can’t tell you much more about her life, if you can help please let us know. 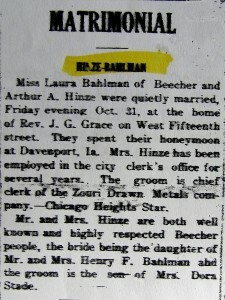 Miss Lora Bahlman of Beecher and Arthur A Hinze were quietly married, Friday evening October 31, 1924, at the home of Rev. J.G. Grace on West Fifteenth Street. They spent their honeymoon at Davenport, IA. Mrs. Hinze has been employed in the city clerk’s office for several years. 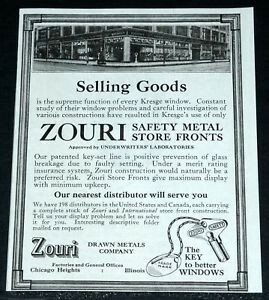 The groom is chief clerk of the Zouri Drawn Metals company – Chicago Heights Star. 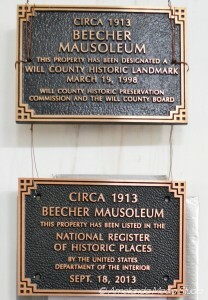 Mr. and Mrs. Hinze are both well known and highly respected Beecher people, the bride being the daughter of Mr. and Mrs. Henry F. Bahlman and the groom is the son of Dora Hinze Stade. 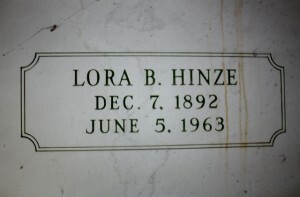 Lora B. Hinze, of Chicago Heights, beloved wife of the late Arthur, loving mother of Lowell of San Diego; fond sister of Ferne Hildeman of Chicago Heights and Dr. Henry Bahlman of Chicago Heights; grandmother of two. Resting at West End Funeral Home, 1340 Otto Blvd., Chicago Heights after 4 p.m. Thursday. Services Friday, 1:30 p.m. Entombment Beecher cemetery.